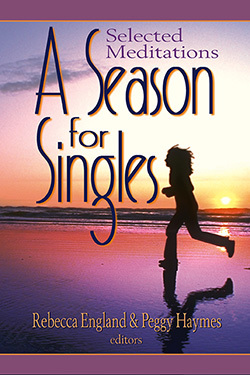 A Season for Singles is a collection of one-page meditations for today's growing group of single persons who want to meet life from a thoughtful perspective. 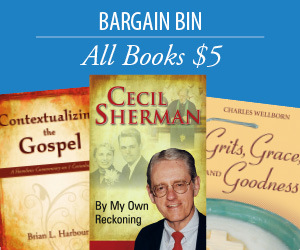 Scripture selections and meditations on topics such as initiative, freedom, commitment, solitude, overcoming barriers, and facing challenges are especially relevant for college and career singles as well as divorced and widowed people learning a new way of life. Rebecca England and Peggy Haymes, both single, have worked together as assistant editor and editor of Reflections magazine published by Smyth & Helwys. Rebecca is assistant editor of Mosaic magazine for the Woman's Missionary Union in Birmingham, Alabama. Peggy is an author and minister living in Greensboro, North Carolina. She is the author of Be Thou Present: Prayers, Litanies and Hymns for Christian Worship also published by Smyth & Helwys.